A recent article from a major news source was titled: Here’s why some homeowners still can’t sell. (Opens in a new window. Yes, I’m linking to it and actually calling them out on it.) In the opening bullets of the article, the author claimed, “Negative equity is one of the main reasons why there are so few homes for sale.” The article then goes on to soften that stance, but I want to bring better clarity to the equity situation. Before we go deeper into this, let’s take a moment to clarify what “Equity” means. It is simply the difference between the price you paid for your home and your home’s current actual value. Positive equity can be created by making improvements and upgrades to your home. Paint, flooring, improving kitchens and bathrooms, each can push your home’s value significantly higher. Positive equity also happens when the market prices are driven higher due to a lack of supply and/or higher demand. This is called “Appreciation”. If you bought your home in 2009 at a bargain price, even if you haven’t done anything to improve it, the value will be much higher in today’s market. Negative equity is exactly the opposite. Neglecting your house, or buying in 2006 and trying to sell in 2010 would have you “upside down” on your equity, meaning your house is worth less than what you paid for it. On to the meat and taters. 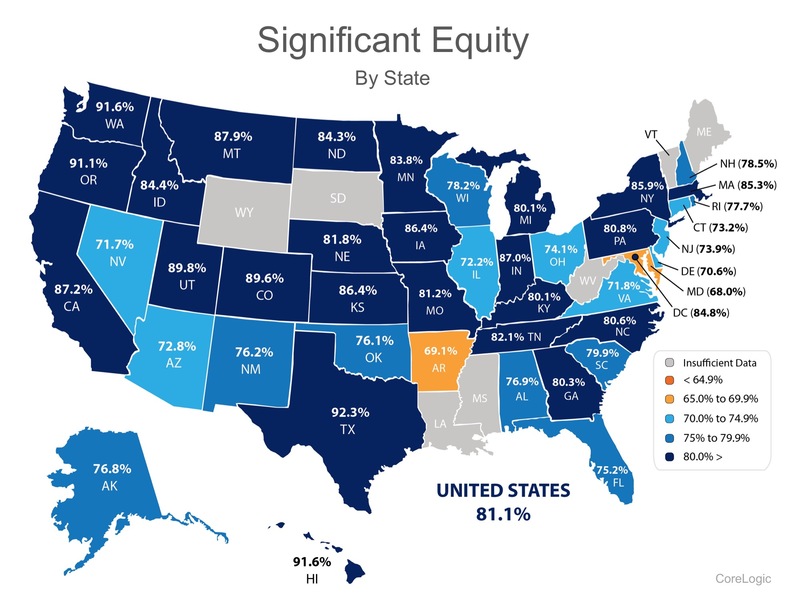 If eight out of ten homeowners now have significant equity in their homes, it is hard to make the claim that lack of equity is “one of the main reasons why there are so few homes for sale.”!!! Just because you see it on the internet, it must be true, right? It aggravates me to see misinformation spread, especially hiding behind some “authority”. For the vast majority of people, their house is their largest single investment. Just because some study or guru says you can’t sell because they don’t think you have enough equity doesn’t make it true. This is why it is important to speak with a local professional and learn for yourself exactly where you stand, and why. Someone who will tell you if you actually are in a position to sell, and if not, what you can do to get to that position quicker. Only if that’s what you want, though! Someone who is enough of an expert to know, honest enough to tell you, and professional enough to advise you on your best course of action, not just the one that gets them paid. And, it should go without saying, someone who isn’t just trying to sell advertising on their platform or channel.